Our Wagyu cows and their calves graze on this ranch and when enough grass permits, we also pasture yearling steers. 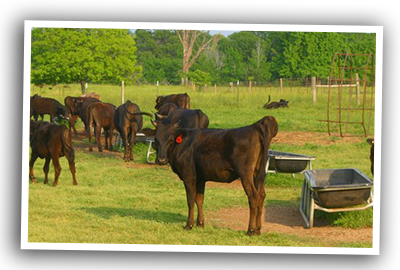 Our Wagyu cows provide us with calves that we eventually market as naturally raised prime beef. This means they receive no antibiotic, growth hormones, or animal bi-products, and provide healthy prime beef to our customers that is second to none. Our intention and claim is to raise cattle which deserve the label of "best steak in the world."  We strive to produce only the "best prime beef in the world" by following strict protocols for all natural, grass fed beef. All of our cattle are free of antibiotic, growth stimulants or hormones for only the best in beef production. Wagyu (?? Wagy? 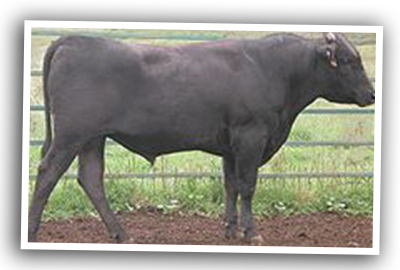 ?, literally Japanese cow) refers to several breeds of cattle genetically predisposed to intense marbling and to producing a high percentage of oleaginous unsaturated fat. In several areas of Japan, beef is shipped with area names. Some examples are Kobe, Mishima, Matsusaka, ?mi, and Sanda beef. These different breeds produce beef that range from expensive (by any measure) to extremely expensive (about US$ 50 per 150 grams of filet steak sold retail in Japan). Wagyu cattle's genetic predisposition yields a beef that contains a higher percentage of omega-3 and omega-6 fatty acids than typical beef. The increased marbling also improves the ratio of monounsaturated fats to saturated fats.